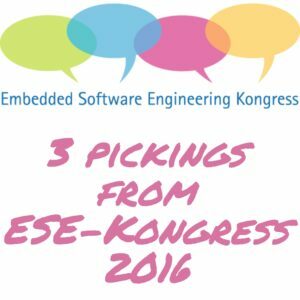 The ESE-Kongress in Sindelfingen. More than 1.300 participants! 100 presentations! 3 days with 4 streams in parallel! Amazing! 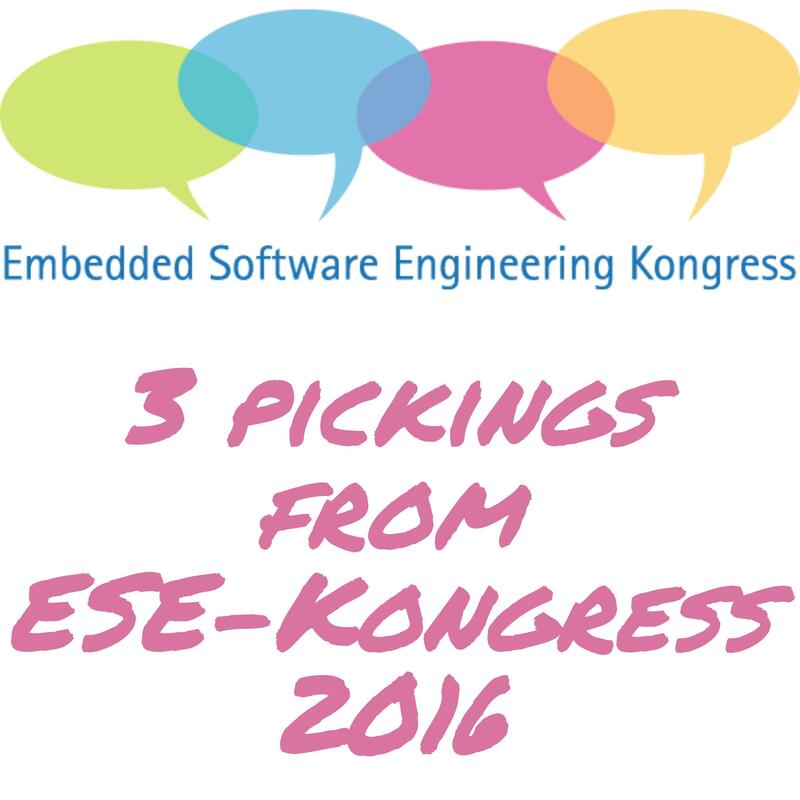 The German Embedded Software Engineering Kongress is the second largest gathering of Embedded specialists in Europe. I gave my debut presentation with “No belly-flops with virtual teams”. But there are about 100 other presentations in 4 parallel streams on three days. From 29th, November until 1st, December people belonging to the Embedded realm has their gathering in Sindelfingen. It’s a great happening with interesting persons presenting stunning talks, new topics and detailed insights. I picked three topics – diverting, trendy and versatile. It’s of course no representative selection. There were lots of topics from various areas: architecture, real-time and multi-core, safety and security, implementation, open source, IoT, Industrie 4.0, automotive, test and quality, Agile, software engineering and last not least management.